In last week’s post, Coaching Made Clear Part One: What does a coach do? we chatted about the basics about what a coach should provide for you. The ABC’s of coaching are what any coach should be able to provide: accountability, brainstorming, and clarity. 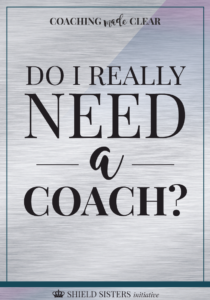 After last week’s post, you might be wondering, “Do I need a coach?”. Deciding to work with a coach is a very personal decision. Only you can decide if coaching is the right decision for you. But before you decide to dive headfirst into the coaching talent pool, you’ll want to do some serious soul searching. Am I happy with where I am at in my life or business? Is my vision for my life or my business as clear as it could be? How do I feel when I think about my life or my business? Do I feel confident in what I am doing? What feelings arise when I think about my future? After you have answered these questions, evaluate your responses with an open mind. If you feel that your answers are mostly positive and confident, you’re probably in a pretty good place! However, that doesn’t mean that working with a coach would be a bad thing. You just need to make sure that your coach is able to help you achieve that next level of confidence and clarity. If your responses to the questions above feel like they are missing something, it’s definitely time to evaluate your options. 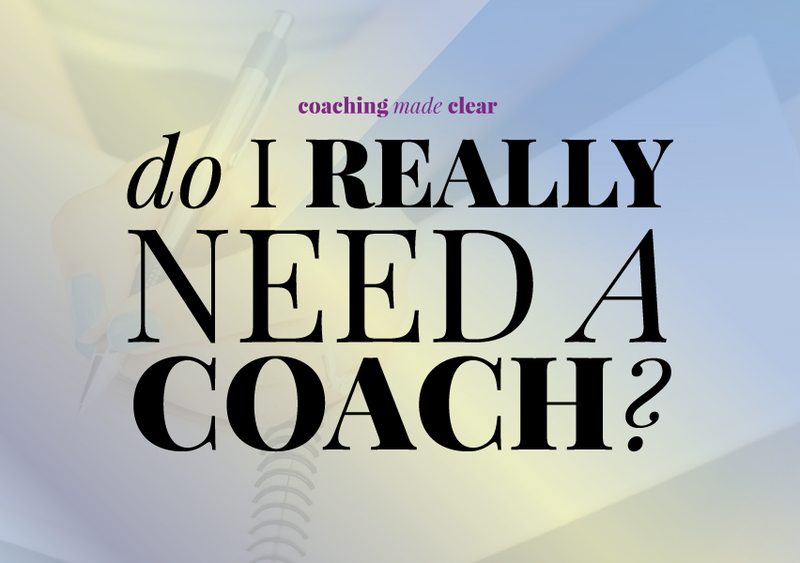 But hold the phone for a minute… Do you need a coach? Or do you need a therapist? Yeah. That’s something we need to talk about. And here’s why. Mental health is an important part of being a functioning human being. Whether you are a stay at home mom, an aspiring business owner, or an IT guy for a pet store, you need to get your mind right. Depression, anxiety and other mental health disorders affect around 18% of the population. That means that about 1 in 5 individuals suffers from a mental health disorder. But here’s the thing. A lot of mental health disorders go untreated, simply because of the stigma surrounding mental health. While mental health awareness has improved somewhat in recent years thanks to social media, there is still a negative stigma associated with seeking help for depression, anxiety, or personality disorders. So here’s the thing. I’m not a therapist… yet. But I am a HUGE advocate for mental health. And if you have ANY inkling that you might be struggling with something that needs deeper insight than what a coach can provide, I urge you to talk to your doctor about your options. She might recommend that you seek assistance from a counselor in your area. While coaches and therapists might seem similar on the surface, the two careers are MASSIVELY different. For starters, therapists practice under a medical model in order to provide assistance to individuals who are seeking psychological or psychiatric help. Coaches are focused on human potential and self-discovery. Secondly, coaches can practice their talents without a license or certification. While a certification or accreditation is beneficial for a coach to have, it isn’t legally required. Therapists must receive licensure in order to practice counseling or therapy. If a licensure is not currently acquired, the therapist must be working underneath a licensed counselor or therapist in order to ensure ethical and legal practice. If you or your doctor feel that a medical model might be the best option for you, it is important that you seek a therapist first. Once you have established a healthy rapport with a therapist who can help you to establish positive mental health wellness, then you can begin to evaluate the option of getting in touch with a coach. What if I’m already in therapy? That’s great! Kudos to you for making positive progress towards your mental health! If you’re already in therapy, talk to your therapist about why you feel like a coach would also be beneficial. Your therapist might be able to put you in touch with someone who can meet your needs and help you to start the next chapter in your life. Quick side note, you can have a therapist and a coach at the same time. In fact, I recommend it. Personally, I have a one hour talk-therapy session every 2 weeks with my counselor, and a coaching session with my coach once per week. The therapy helps me to clear my head about personal items that I might be going through, and the coaching helps me to stay clear and focused on what I want to achieve in my business. Based on what we’ve talked about so far, the next step is to decide if therapy or coaching is the best option for you. If you have decided that coaching is your best option, you’ll need to do a bit of research on which TYPE of coaching you will want to participate in. Until then, I’d love to know, do you think you’ll start looking for a coach? Let me know in the comments below! Or if you are feeling especially generous today, I’d love it if you could share this on Twitter or Pinterest! See you soon!